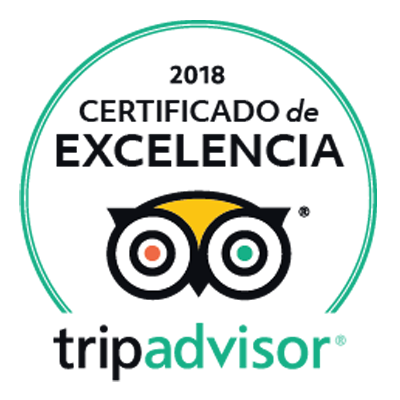 Continuing with our review of the most popular neighbourhoods in Barcelona, today we suggest a journey of altitude (the mountain of Montjuïc rises up to 173 metres) through a neighbourhood where you will find beautiful gardens, Olympic facilities and some of the city’s most important cultural centres: Aren’t you intrigued?? Discover what to do and what to see in the Montjuïc district. You can start your tour by taking the cable car up to Montjuïc Castle, an ancient military fortress built in 1751 and which presides over the top of the mountain. The guided tour allows you to learn about the history of the building, from the time the first watchtower was built during the 17th century until the castle we know today was built in the middle of the 19th century. 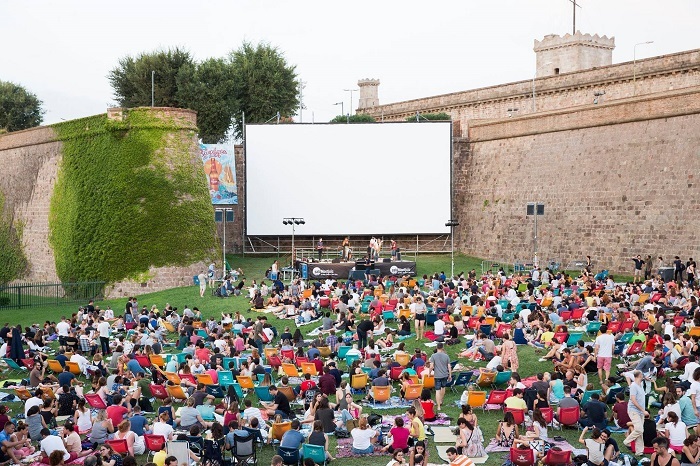 During the summer nights the castle becomes a huge hall where you can enjoy the magic of open-air cinema and live music under the sky of Barcelona, as part of the Cinema a la Fresca festival. 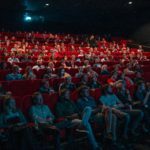 An ideal setting in which you can enjoy an excellent programme under the skies of Barcelona, including recent films, jewels of auteur cinema and great classics of the seventh art. You can sit on the grass with your picnic and bring your own chairs or buy dinner and rent sun loungers on the spot to make the experience more comfortable. The Museu Nacional d’Art de Catalunya (MNAC) houses one of the largest collections of Romanesque art in the world in the imposing National Palace, an emblematic building built on the occasion of the 1929 Universal Exhibition from which you can enjoy a beautiful panoramic view of Barcelona. In addition, you will learn about the history and essence of Catalan art, from Romanesque to the mid-20th century, through an exceptional collection of paintings, sculptures, photographs, engravings, numismatics and a long list of artistic disciplines, with works by El Greco, Velázquez, Zurbarán, Gaudí, Dalí and Picasso, among many others. 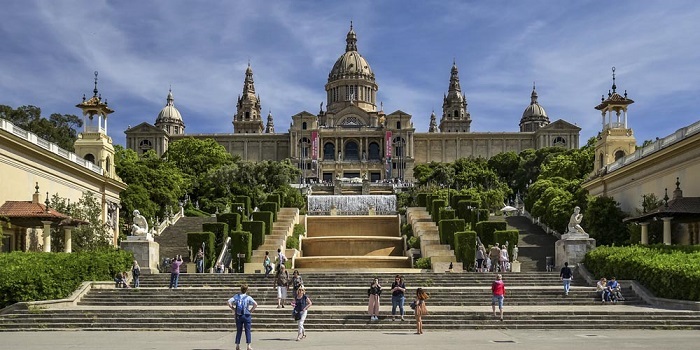 You can visit the MNAC free of charge on Saturdays from 15:00 hours, the first Sunday of each month, on Museum Day and on the days of Sant Jordi and La Mercè. The Poble Espayol brings together, in a single space, life-size reproductions of typical buildings from all regions of Spain. The site was built on the occasion of the 1929 Universal Exhibition and is, in addition to being an authentic open-air architectural museum, a village in itself where you will be able to discover not only 117 buildings, squares and streets from different parts of Spain, but also a museum with contemporary art pieces by artists such as Dalí, Picasso, Miró or Guinovart (a visit to the museum is included in the entrance fee). 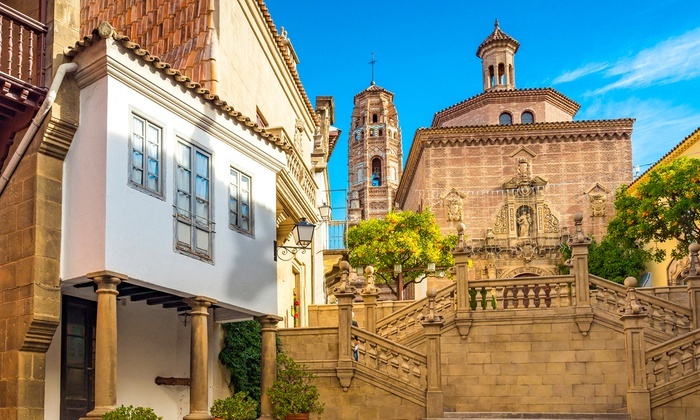 In addition, the Poble Espanyol (which was originally planned to be demolished after the Universal Exposition) has bars, restaurants, discos and hosts events for all audiences 365 days a year: family activities, shows, concerts, gastronomic events, movies, etc. 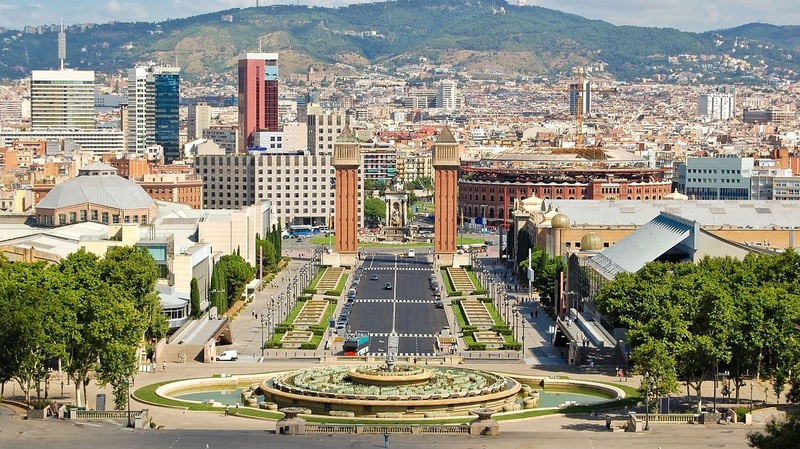 Designed by the modernist architect Josep Puig i Cadafalch and built during the 1929 Universal Exhibition, the Plaza de Espanya is one of the neuralgic points of Barcelona, connecting the Sants neighbourhood, the Gran Vía, the Paral-lel and the Montjuïc Park. In the centre of the square there is the monumental Fountain of the Three Seas, which symbolises the three seas that surround the Iberian Peninsula. Nearby you will find the old bullring of Las Arenas, converted into a shopping centre and, as a background image, the MNAC and the fountain of Montjuïc. 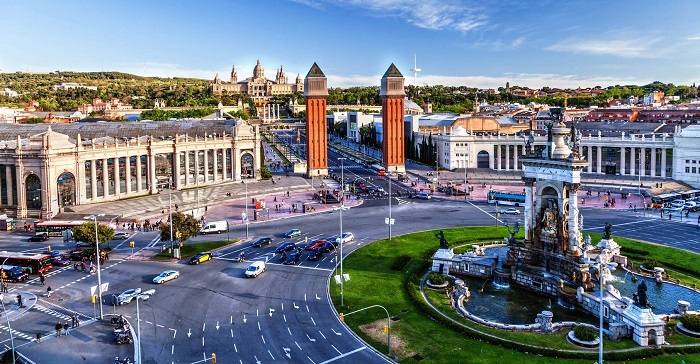 In the same square is the Fira Barcelona venue, which hosts major events and fairs of all kinds, and nearby are two Venetian towers that serve as a beautiful gateway to the park of Montjuïc. 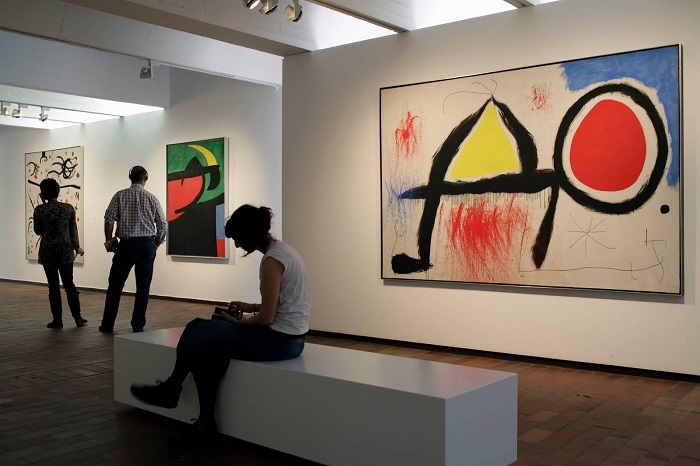 Another must-see on Montjuïc is the Fundació Miró, a beautiful and original building that houses the artist’s permanent collection of works and a wonderful catalogue of temporary exhibitions of contemporary art. The mountain of Montjuic was the neuralgic center of the 1992 Olympic Games. There you will find the Olympic Stadium and the Palau Sant Jordi, two of Barcelona’s most important sports venues, which also host concerts and major events throughout the year. 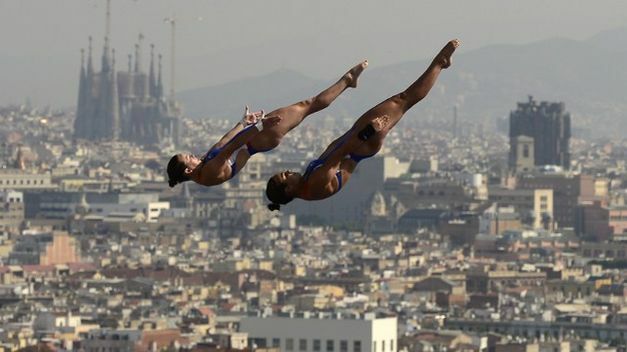 You’ll also find the Picornell Swimming Pools and the Jumping Pools, which left some of the most beautiful and memorable images of the Games with the swimmers jumping up and down against the city as an impressive backdrop. You can also admire the original and avant-garde communications tower built by Santiago Calatrava to celebrate the event. If you would like to try an alternative plan, the Montjuïc cemetery has a collection of wonderful sculptures (with works by important architects and sculptors such as Jujol and Puig i Cadafalch) that are even available for guided tours every second and fourth Sunday of the month. If you’re a nature lover, you’re in luck. 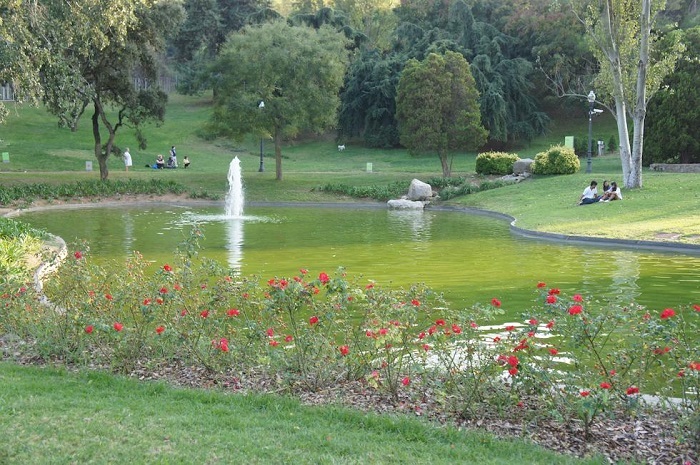 In addition to discovering the magical corners hidden in the mountain, the Montjuïc tour includes an exceptional number of parks and gardens where it is worth to get lost for a while. Among them, we can mention the Botanical Garden or the gardens of Mossèn Jacint Verdaguer or Joan Brossa. 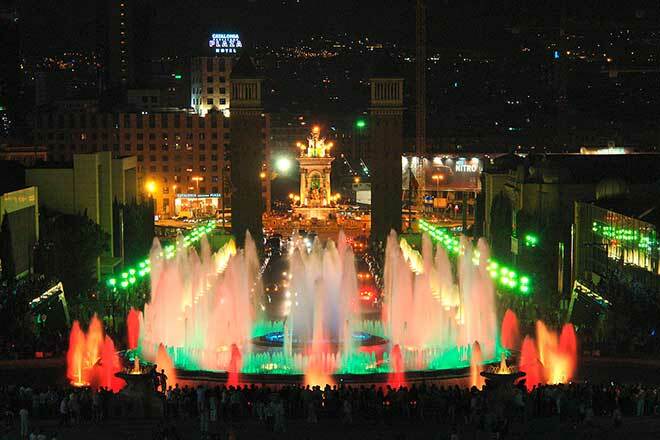 After more than 80 years in operation, the show of light, colour and music offered by the Magic Fountain of Montjuïc continues to amaze the hundreds of visitors who don’t want to miss out on one of Barcelona’s main tourist attractions and a symbol of the city. So far our recommendations on what to do and what to see in Montjuïc. 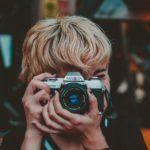 If you want to know more areas of Barcelona, we also offer you a guide about the Gothic neighbourhood, the neighbourhood of El Raval and the neighbourhood of Sant Pere, Santa Caterina and La Ribera. 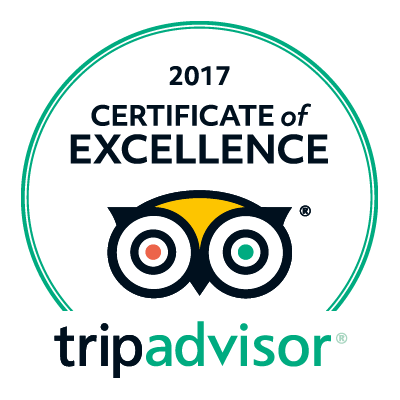 Do not hesitate to ask our staff if you want more information!